Camelina (Camelina sativa) is a genetically tractable oil seed crop, which has emerged as an important resource for production of both food and nonfood oil, due to several unique characteristics. The seeds contain 30% to 35% oil, which is rich in omega-3 fatty acids. It is also a low-input, relatively stress-tolerant plant with a fast life cycle (3 months from seed to seed) and is amenable to genetic transformation by the floral dip method. Roy Choudhury et al. 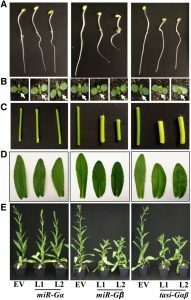 (10.1104/pp.18.01312), while previously investigating the roles of different G-protein subunits in modulating the oil content of Camelina, uncovered a role for Gb proteins in controlling anisotropic cell expansion. Heterotrimeric G-proteins, including Gb influence almost all aspects of plant growth, development, and responses to biotic and abiotic stresses in plants. Interestingly, Camelina plants with decreased Gb levels also exhibited substantial increases in the titers of certain fatty acids and phospholipids. These increases might be caused by the direct interaction of Gb proteins with a specific patatin-like phospholipase, pPLAIIId. The authors now report that Camelina plants with suppressed Gb expression exhibit higher lipase activity, and show phenotypes similar to plants overexpressing pPLAIIId, suggesting that the Gb proteins are negative regulators of pPLAIIId. 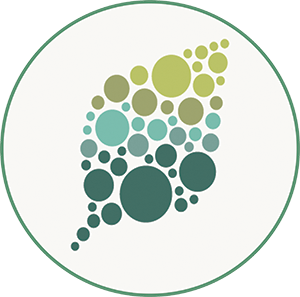 These results reveal interactions between the G-protein–mediated and lipid signaling/metabolic pathways, where specific phospholipases may act as effectors that control key developmental and environmental responses of plants.